Well, it feels like an eternity since I have been able to go walkabout with my camera, so today I took full advantage of the beautiful weather, packed the dogs into the car and took a drive down to Careys Bay just south of Port Chalmers. What an absolute delight it must be to live there – the Bellbirds were providing a stunning soundtrack to the vista of the bay and surrounds, with the pungent salt air to complement the visual sensations – just heavenly. 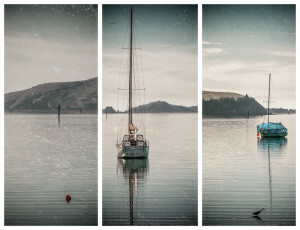 Another truly photogenic location here in fabulous Dunedin and these are the images that came from that trip.